Alzheimer’s is one of the common age-related disorder which affects most of the elderly and is also one of the most common results of brain ageing. Alzheimer’s is one of the progressive disorder. It impairs the memory gradually and changes in the brain start evolving!! Most of the age-related disorders cannot be cured and the onset cannot be delayed nor avoided! Alzheimer’s is one such disorder, the risk of which can be reduced when a proper diet pattern is followed! Here are the details of the diet which protect your brain from the risk of Alzheimer’s! “MIND” Diet is the acronym for “MEDITERRANEAN DASH INTERVENTION FOR NEURODEGENERATIVE DELAY” Diet – which is a hybrid of Mediterranean and DASH diet. Regular consumption of MIND diet has known to reduce the risk of Alzheimer’s by 18 to 24 percent! 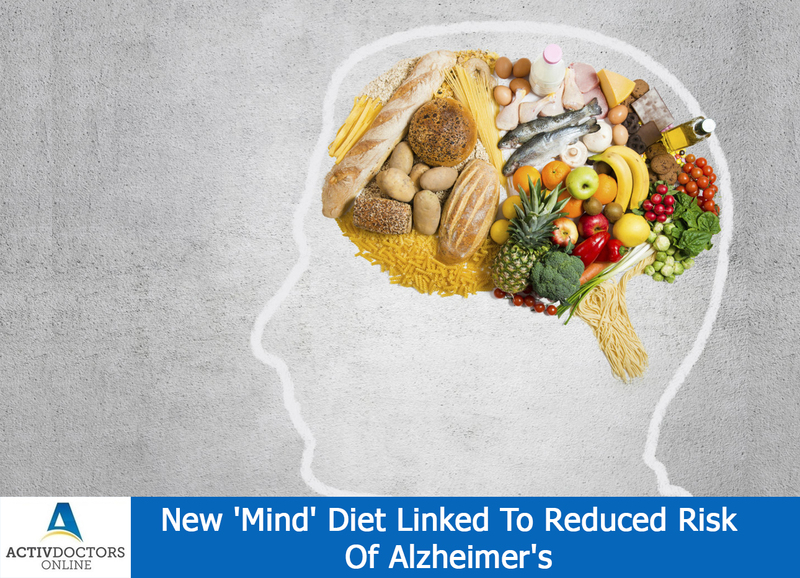 Various studies have been conducted and all have derived the same benefits of reduced risk of Alzheimer’s on consumption of MIND Diet. Regular consumption or adhering to MIND diet helps in overall well being, reduces the risk of minor and major blood vessel related pathologies in both brain and heart, helps in overall good health!